Grace "Gay" Elizabeth (Putnam) Farmer of Hebron, CT passed away January 31, 2019 at 85 years of age. She was born August 1, 1933 to Oliver and Mae Severance Putnam and was raised in White Plains, New York. Gay was a graduate of White Plains High School, Berkeley Secretarial School and the University of Connecticut where she received both BS and MFA degrees. She also earned a 6th year equivalency in Humanistic Education. Gay spent much of her career as an elementary school teacher at Hebron Elementary School in Hebron, Connecticut. Additionally, she was past president of the Northeastern Connecticut chapter of Delta Kappa Gamma Society International, an honor society for women educators. Gay and Bob loved to travel and were fortunate to visit many areas of the world. 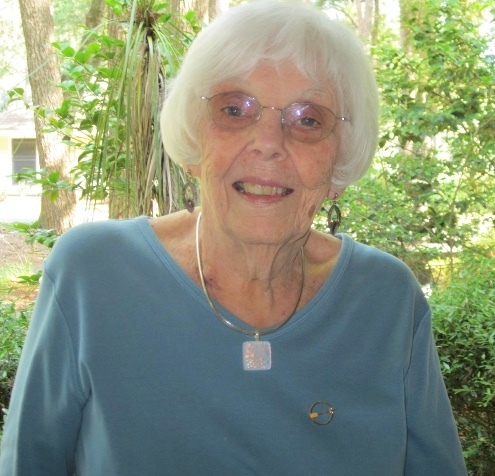 Over the course of their life together they lived in Germany, South Windsor and Columbia Connecticut, Fripp Island and Dataw Island South Carolina, at The Arbors of Manchester Connecticut and most recently at Colebrook Village in Hebron Connecticut. She leaves her beloved husband, Robert M. Farmer with whom on February 20th would have celebrated 65 happy years of marriage. Daughters Karen Newcomb and her husband William, Melissa Seres and her husband William; son-in-law Scott Berman; grandchildren Trevor and Jenelle Newcomb, Dana and Stephanie Newcomb, Rachel and Matthew Munafo, Joshua Berman, Jordan Berman, Catherine Seres, Andrew Seres; great-granddaughter Morgan Newcomb. As well as her brother David Putnam and his wife Barbara and their family. In addition to her parents Gay was predeceased by her daughter, Jennifer Berman. In lieu of flowers, donations can be made in memory of Grace Farmer to Quilts That Care, P.O. Box 166, Watertown, Connecticut 06795.